During the winter sales at the Central Department Store (TsUM), Moscow. 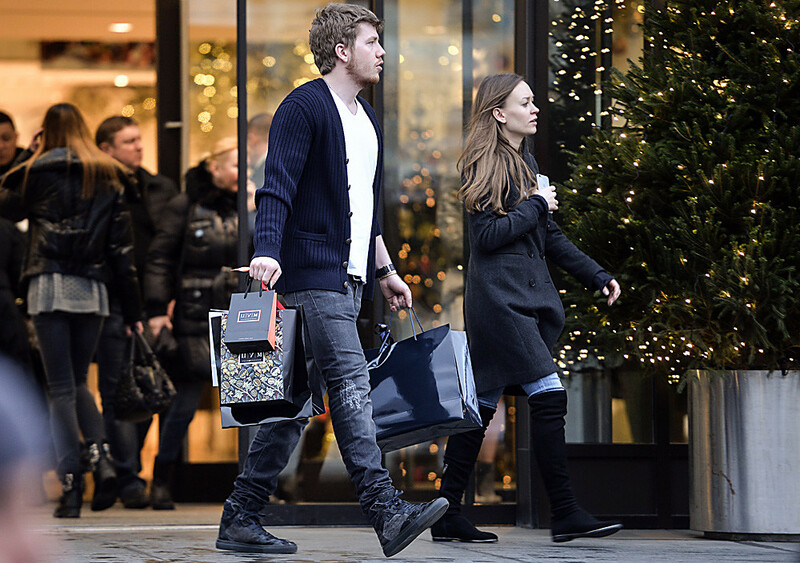 Buying trendy clothes in Russia just got a lot cheaper for foreign travelers! Moscow does not only offer attractive, unique architecture and a fabulous nightlife! Go shopping here - and you will see it through fresh eyes! You’ll be surprised – but some trendy things here may be cheaper than elsewhere, because the ruble has fallen in value against foreign currencies. Don’t forget to use these tips to save even more money. Good news! 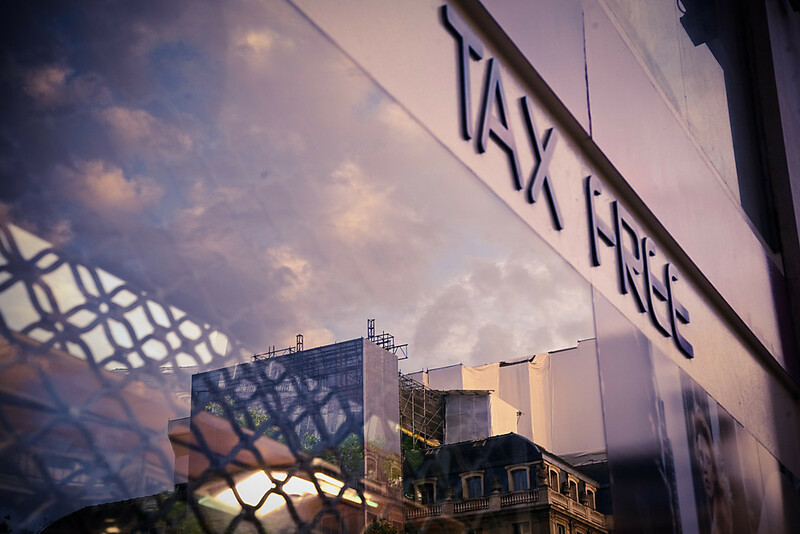 Since the beginning of 2018, foreigners (except those from countries of the Eurasian Economic Union) are eligible for tax free shopping in Russia. You can claim back 18 percent of your expenditure when leaving the country. You’ll need to fork out at least 10,000 rubles ($174) in one day at one shop before it’s possible to claim the tax back though, so get spending! Tax free points are now operating in airports in Moscow, St. Petersburg, and Sochi. Sales and discount are a great opportunity to fill your wardrobe with trendy clothes and shoes without spending your entire salary. Most collections in Russia are refreshed every season and sell old stock at discounts (mid-season sales are in spring and autumn). Most shops in Russia do not close even on weekends, and the often hold sales just before state holidays: March 8, May 1, June 12 and others. But there are two periods when you can enjoy shopping with maximum savings: at the end of December and the end of June. And this is the time when people are really going crazy about shopping even if they don’t need anything! Just because discounts climb to 70-80 percent. Sales never end in Moscow! The biggest outlet store is located not far from the city center on the Leninsky Prospect metro station (Ordjonikidze street, 11). Here you can find dozens of famous store like Mexx, Guess, Nike, Adidas, Calvin Klein and Karen Millen. Besides clothes and shoes, there are discount stores of sports goods, household items, optics, suitcases and cosmetics. And couple cafés where you can take a break. Another big discount center is also not far from downtown, near Prospect Mira metro station (Olympiysky prospect, 16/1) in the Olympiysky sports complex (built for the Moscow summer Olympics in 1980). The brands are almost the same - Levi’s, Mexx, Calvin Klein, Iceberg, Crocs, Ecco. Discounts are from 30 to 90 percent. If you’d like to find more luxury brands go outside Moscow! Belaya Dacha Outlet Village (buses leave from Kotelniki metro station every 10-15 minutes) was built on the model of European outlets and looks like a tiny town with its main square, cozy cobbled streets and neat houses. Among the brands are Accessorize, Furla, La Perla, Marella. Through the year you can find here Levi’s at half price – so try your luck! 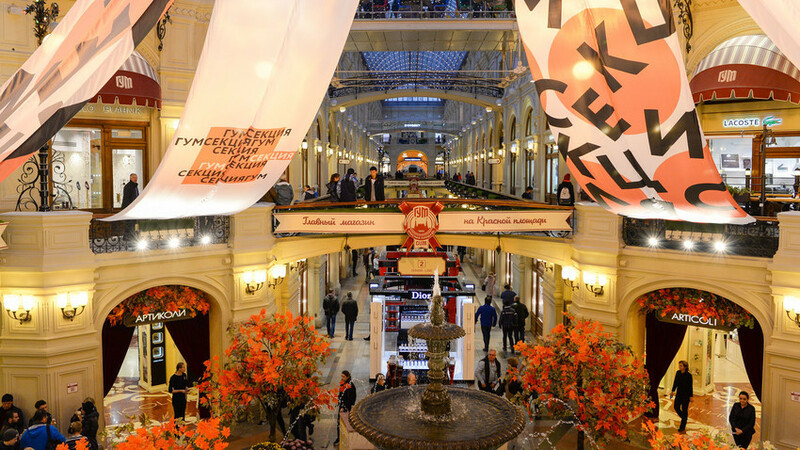 Russia’s most famous store, TSUM, which you probably spotted near the Bolshoi Theater, also has six discount outlets across Moscow (check the website). The discount for some luxury brands is up to 70 percent! Even if a shop belongs to a global chain, your card may not be valid in Russia. Moscow shops often suggest special offers and closed sales only for their cardholders. So if you are often in Moscow, it’s a good idea to have a customer card of your favorite shop. Modern Russian designers have a lot to offer for a reasonable price! Take a look at sports and casual wear. Young Russians wear comfy hoodies and spacious bags from Zaporogets Heritage, walk in Tvoye (“Yours”) pants and choose simple grey T-shirts from Oh, My. Read more about new Russian designers and find out how to shop online in Russia!